Hail to the White Queen! It´s finally ready. 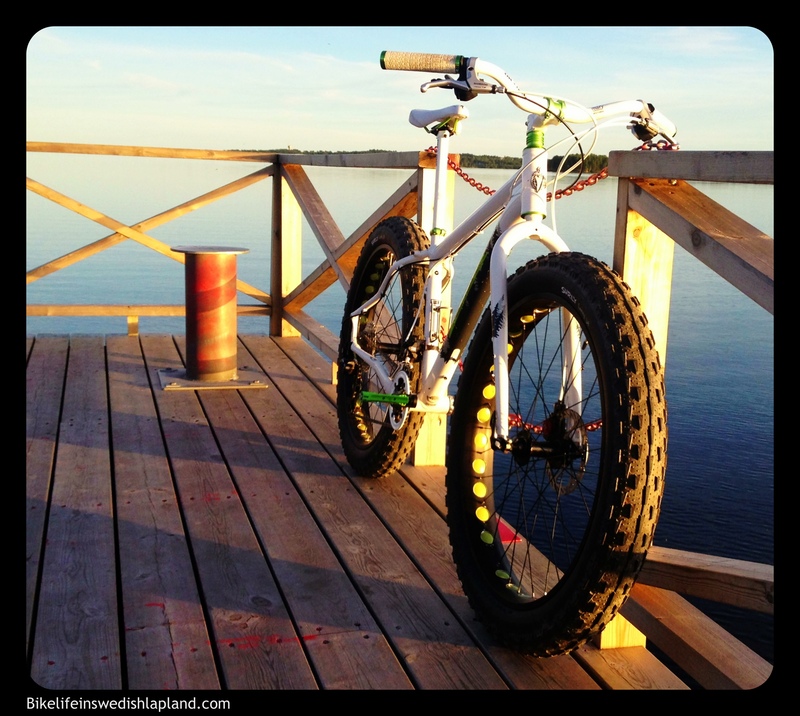 I´ve been working on the fat bike since January. The plan was to have it ready for winter but the urge to ride it at our sandy trails was to big. I must say i was pretty curios how it would handle with those big floating tires. Would it be heavy and slow? 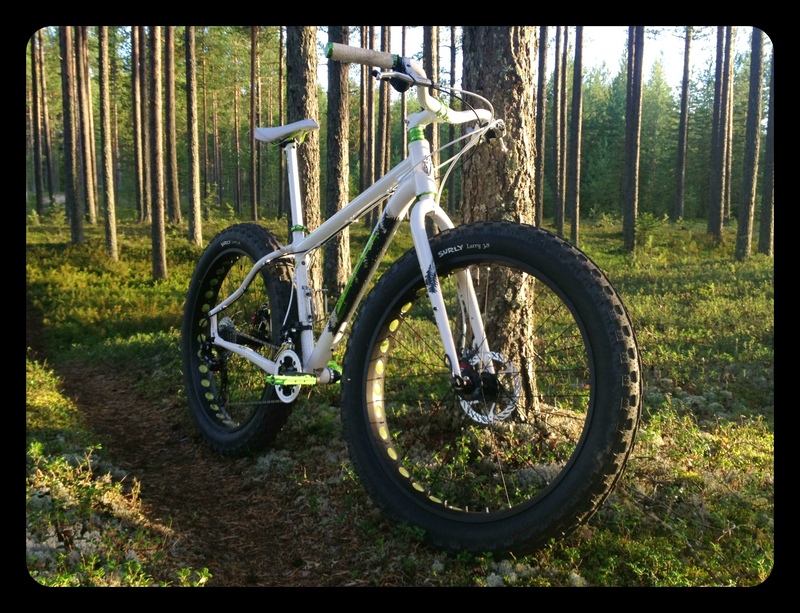 Would it be to much for my local trails? Was it just a fix idea and when turned to reality a bike for special occasions…? NO, no and hell NO! My first ride was 19 km on various trails. Ok, asphalt is not the best for a fat bike. 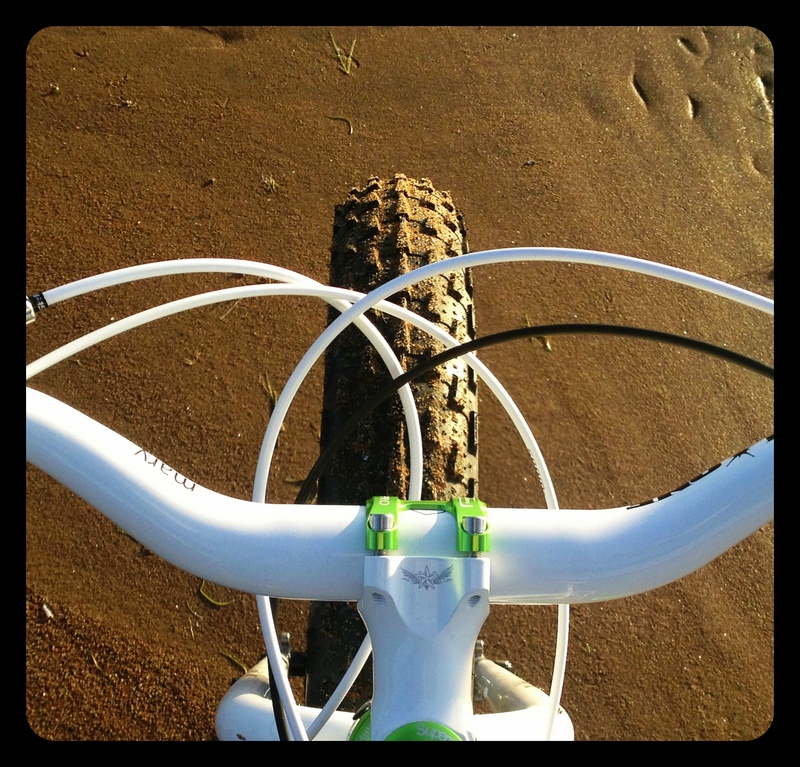 But gravel roads, singletrack, trails, sand, roots and gnarly rocks. It just eats everything. I would say some times even better than my 150 mm AM-rig. 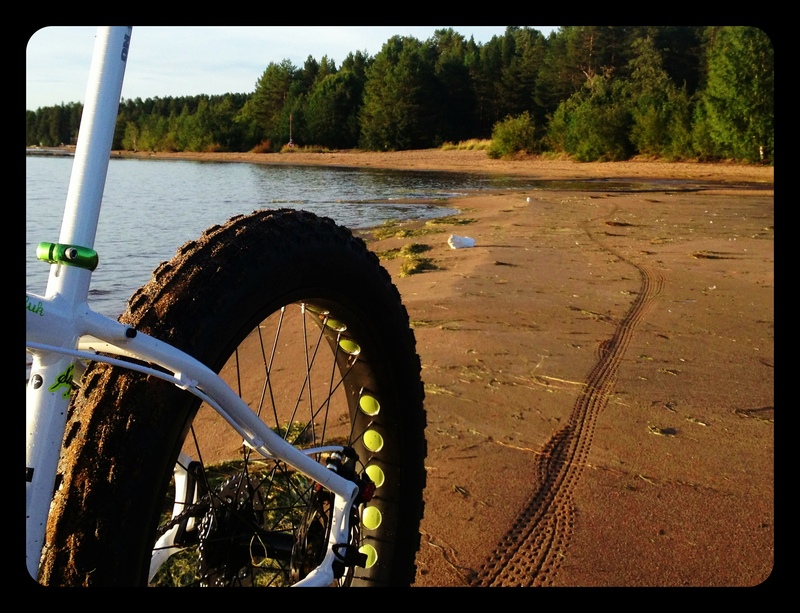 But of course it´s on the sandy trails among the pines that its really feels the best. The biggest surprise is how agile the bike feels. Easy to bunny, fast and light. I took a ride along the shores of the river of Luleå and it was awesome to just float around on the sand. This is a view i´ll get used to. It was a amazing night and i could have been out for a couple of more hours. The Mukluk sure makes you want to explore. It says adventure by bike on the chain stays for a reason. 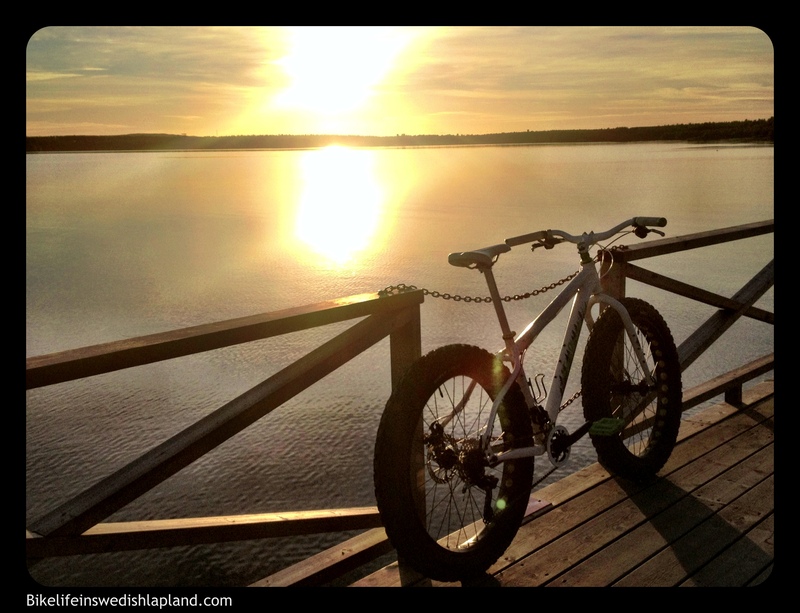 This is the beginning of a beautiful friendship and i can´t wait to test it on the great white trails during winter. Nice Mukluk! It looks great, the colors are pretty amazing. I also like the white Mary bars, I have never seen them in white. Enjoy! Love the Mary bars. =) Another 35 km today! It runs like a dream.